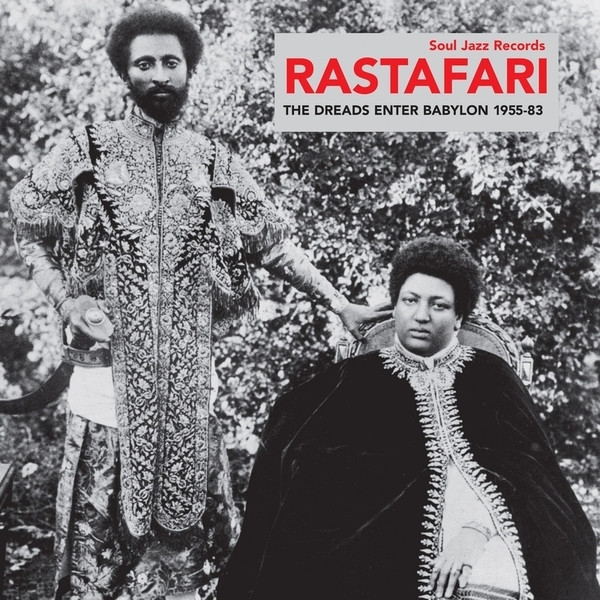 "Soul Jazz Records' new album Rastafari: The Dreads Enter Babylon 1955-83 charts the many links between reggae music and the Rastafarian faith. 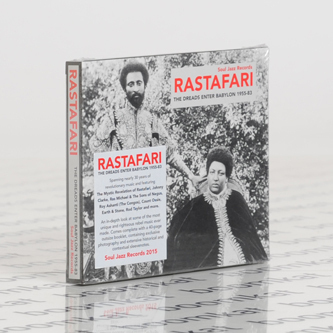 Featuring the music of Count Ossie, Johnny Clarke, The Mystic Revelation of Rastafari, Ras Michael and The Sons of Negus, Bongo Herman, Roy Ashanti (Congos), Earth & Stone, Mutabaruka and many more, this is an in-depth look at some of the most unique and righteous music ever made and comes complete with a 40+ page outsize booklet, containing exclusive photography and extensive historical and contextual sleevenotes. At the source of the music of Rastafari is the figurehead master drummer and leader Count Ossie, who first brought the deeply spiritual nyabinghi and burro rhythms, heard and played at sacred Rastafarian grounation (reasoning) sessions, into popular Jamaican music through his many collaborations and performances with artists - from The Skatalites to The Folks Brothers - and producers, including Clement Dodd, Prince Buster and Harry Mudie. 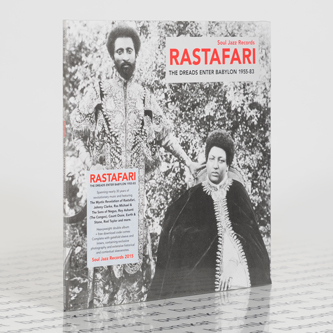 At the start of the 1970s Count Ossie formed the Mystic Revelation of Rastafari with saxophonist Cedric Brooks, which immediately became the most significant group of the Rastafari faith, bringing together authentic rasta nyabinghi drumming together with spiritual and avant-garde jazz influences of Sun Ra, Pharoah Sanders and Albert Ayler into a truly unique and groundbreaking sound. From the earliest proto-rasta beginnings on vinyl, Lord Lebby's 1955 mento recording 'Etheopia', through to the raw, afro-jazz roots sounds of Count Ossie to the deep and heavy roots reggae of the 1970s (Johnny Clarke, Earth & Sound, Roy Ashanti of the Congos and others), this album covers nearly 30 years of revolutionary music."